Ever since I was 14, I have been suffering from Rheumatoid Arthritis (RA). This disease has made my quest for a healthy lifestyle a little bit rocky and bumpy. Like so many people out there, I have tried all sorts of medications and combinations of natural healing strategies. I have a personal belief that rheumatoid arthritis pain relief can happen with more than just drugs. Perhaps it is good to start with a short rheumatoid arthritis pain description. We can describe arthritis pain as the inflammation of the joints that can result to stiffness, redness and swelling. This pain is normally caused by a disturbance of joints as well as tendons in the form of inflammation. The joints become swollen, stiff and tender. In addition, fatigue and muscle aches are a major daily challenge for most with this chronic disease. RA usually begins slowly, starting in a few joints and then spreading to other joints in the coming weeks, months and years. As time goes on, RA involves more and more joints on both sides of the body in a “symmetrical” pattern. This explains the need for the Rheumatoid Arthritis Pain Scale (RAPS) instrument, which is a quantitative, self-report 24-item instrument that works on a single-score mode. It is used to examine the severity of the RA pain and the RA disease progression in general. Indeed, RA pain is different from other forms of chronic pain and that explains the essence of the Rheumatoid Arthritis Pain Scale. Rheumatoid arthritis pain relief is achievable by use of several medications. 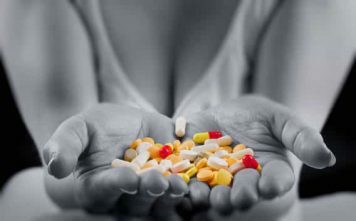 Some of these include Non-Steroidal Anti-Inflammatory Drugs (NSAIDs), Disease-Modifying Anti-Rheumatic Drugs (DMARDs), Steroids, Biologics and Steroid injections. Before taking any rheumatoid arthritis pain medication, it is always advisable to consult your doctor. However, non-prescription medications for pain are also available, such as acetaminophen and ibuprofen. It is worth noting that rheumatoid arthritis pain management requires a combination of therapies, as no single pain management technique is powerful enough to provide non-stop pain relief, trust me. You need to discover what works for you. I have been trying several of these drugs but I have pain even as I type this. Therefore, one needs to try many different therapies or combinations of therapies for prolonged pain relief. If you are sailing in the same boat, you must have realized that it is hard to find the right combination of RA pain relief drugs that work. As said earlier, I have tried all the afore-mentioned drugs for 21 years now but none of them seemed to solve my problems completely. Occasionally, a drug would work for a few months or a few years and then I have to try something new. You may be surprised to learn that some RA medications also cause pain to the patient. This rubs more salt on the already bleeding wounds. That is why I have always actively researched alternative methods for natural rheumatoid arthritis pain relief. Here is a sneak peak of these methods. Physical Therapy. This involves ice/heat application to joints, muscle-strengthening activities, and general conditioning programs and aqua therapy as well as Transcutaneous Electronic Nerve Stimulation (TENS). Occupational Therapy. This entails joint protection measures, energy conservation techniques and braces and splints to support painful joints. An RA sufferer also needs to adapt his or her home, work or car to his or her arthritis conditions. This may involve acquiring special equipment such as raised toilet seats and jar openers. The list is long. Mental Health Support. Personal and family support is very crucial in managing RA pain. I have tried techniques to control stress and depression and I can assure you that focusing on your own mental health is critical (psstt… you’re worth it!). During these tough economic times, community resources for financial management could also be of great help. Meditation & Prayer. Finding a balance between the body and the mind is something very personal. You should focus on what suits you best and leverage these unique powers. The healing that I have experienced and others with these techniques go a long way in improving your overall outlook on life and your disease. Massage Therapy. We all love massage therapy. The effects of therapeutic massage in pain relief cannot be ignored, especially among RA patients. Massage therapy helps to soothe sore muscles, ease anxiety and has also helped me with sleeping. If you can get on a routine with this type of natural therapy, even better. Dietitian Advice. The health of any person is highly dependent on the food he or she takes. This becomes an even more important focal area for people with RA. There have been many links between diet and rheumatoid arthritis. For this reason, I highly encourage you to start looking into how you can modify your diet to reduce flare-ups and manage pain. Some people have found great success with a dietician, some with a naturopathic doctor, and some by doing online research and identifying a diet program that works for them. What ever suits you best, but it’s worth it to dig into this healing method as many fellow RA sufferers speak very highly of its effectiveness. Low Impact Exercise. I highly advise (and so does your doctor) the integration of low impact exercise at least a few times a week to maintain mobility, maintain range of motion, and strengthen muscles and ligaments. For me, Pilates has become my favorite form of exercise. It has changed my life and I absolutely love it (I also engage in other forms of exercise too). Whether its Pilates, cycling, walking, water aerobics, tai chi, yoga, or any other low impact exercise that you enjoy – make sure it’s a priority in your life so you can make it a habit as soon as possible. Just like you, I have bad days that make it so difficult to cope with RA pain that sometimes, I don’t even want to move. Stay positive, know that you are not alone and I hope that you find the right combination that keeps your body free of pain, flare-ups, and on the road to remission. We’re always looking to share healing strategies here! What natural healing methods have you tried that have brought you pain relief with RA? Click here to share your story! 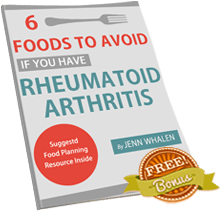 The purpose of RA Pain Management is to provide rheumatoid arthritis sufferers a resource for natural pain management tips, treatments, products, resources, and links that are helping those living with the disease to live their lives more enjoyably.